“Our Mother Earth is in urgent need of immediate love and support. Her core has been breached and she is bleeding. Unchecked sulphur, oil, and toxic gases in the Gulf of Mexico are giving way to widening fissures that threaten life as we know it, on all the lands and in all the waters we love. Dear human kind.. All Our Relations.. Let us answer the call of the ancestors and join our hearts in intention to curtail the hemorrhage, address the underlying grief and wrong-thinking, and send love to our beloved Grandmother Earth. THE TIME IS NOW: July 25 through 30, astrological likelihood for further breakdown of old structures such as we have seen is ripe. However, on July 12 (New Zealand time) the sun sextiles Mars, and Venus and Regulus are aligned. We experience a solar eclipse crossing through the Pacific and directly over the emotional, naval center of the earth (Rapanui / Easter Island). 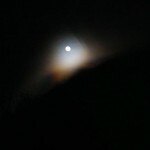 We exit the tunnel, which began at the lunar eclipse and Grand Cross on June 26. This will be the opportune window to avert further injury and to begin restoration of our beautiful Mother. to replenish and rejoin our Mother in truth, beauty and harmony. 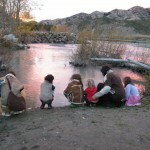 We call for prayer-gatherings over local waterways. 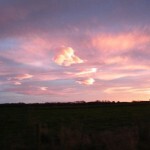 (7:35am NZ time.) Go to www.timeanddate.com/worldclock for your local time. 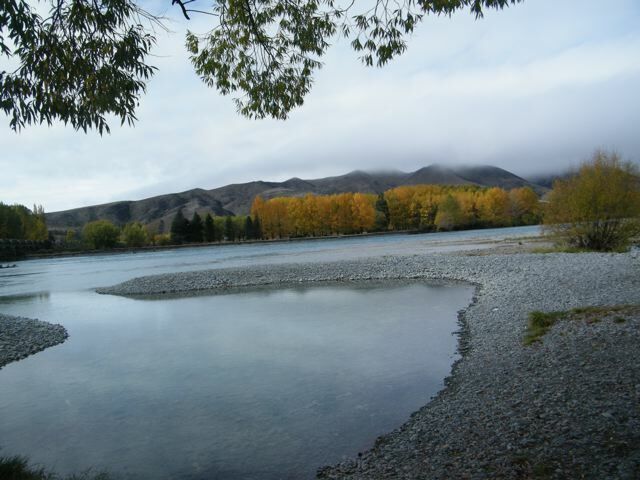 Those nearby are invited to come to Waikirikiri River at White Cliffs Domain, out of Christchurch, New Zealand at 7:30am, and again at 6pm, both days. Please share this timely intention worldwide via e-chains and websites. And individually.. beginning immediately, with every morning and evening star.. Let us send from our hearts, messages of deeply felt apology and love, through bright Venus to the waters of the Gulf of Mexico. Let us re-imagine, with our hearts, her waters once again crystalline and shimmering with life and light. We need not try to understand how this will be accomplished, but envision it so, with great love. United in purpose, the will of the highest good shall become manifest. Let it be so. Makere, Mareikura o Waitaha (Waitaha Grandmother); Juliette Peck; Loraine Web; Rua Pick; Michelle Croft; Diane Cutler; Remy Kiehn-Lindsey; Barry Mathers. 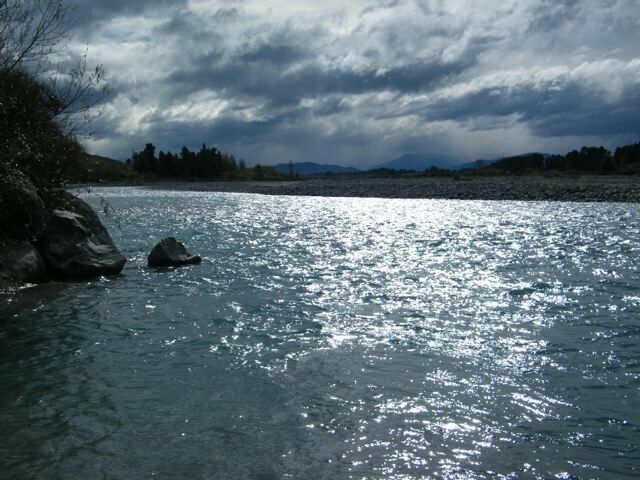 The sacred rivers of our region, Nga Pakihi Whakatekateka o Waitaha, are under assault currently from the dairying industry. 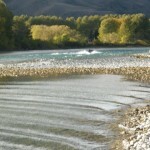 The government has announced that our local rivers are now the property of the Nation. Well then, time for all to step up and take care of these sacred waterways. Conservation orders have been lifted by government to enable farmers to take more water for irrigation from a now dwindling supply. 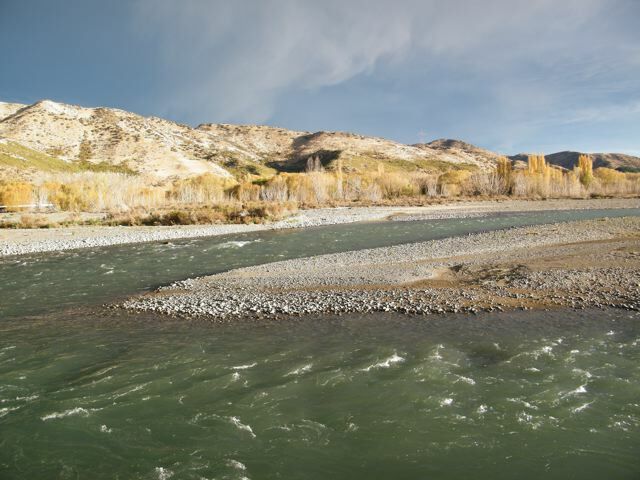 Many strategies have been and are currently being put in place to take more and more from our rivers to turn otherwise arid land of the plains into lush pasture for the dairying industry. There is much concern from across the communities in that they can see the effect of this latest farming fad. ‘Feeding the world’ is the term used by the large corporation to validate their need to expand and take more and more from the aquifers. Those who are more aware of the poor health of the waterways in turn say, at what cost!!! Trading away our children’s rights to have healthy waters to go to and live by; trading away the health of the creatures that live in the environs of the waterways, is this the cost? Remember the tuna, the eels. If they die the rivers die!! 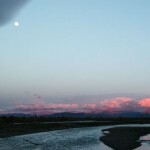 All rivers, all lakes indeed all waterways are sacred. And so a small group of intrepid travellers, 3 adults and 4 children set off on a spirit journey to our sacred rivers and waterways. 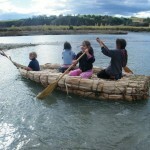 Our intention was to go to our rivers to honour them in their aged mana, to honour them as the life giving forces they have been since the beginning of time, to acknowledge them, to give them our aroha, respect and our deep deep wish that they will survive to become more healthy so as to sustain all the creatures of Tangaroa who dwell within their realms and those that live on the periphery of these realms for the future. 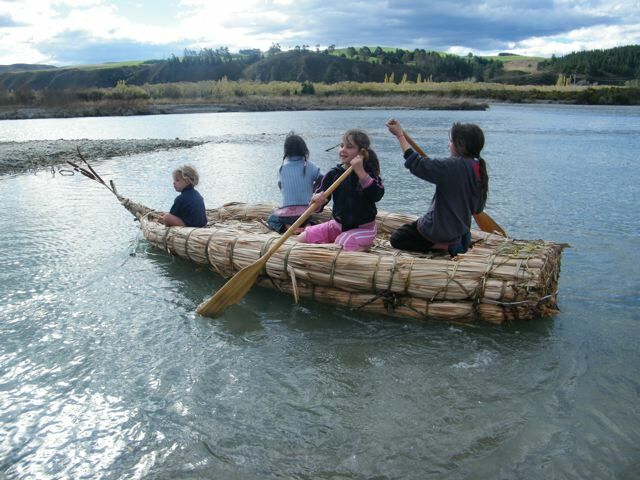 And as well to become healthy to sustain our children and grandchildren and subsequently the grandchildren of the future so they inturn can become the kaitiaki, the caretakers and guardians of the waterways that they are born to be. 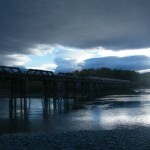 The journey began at Waikirikiri. We slept the night beside our river. A small group of grandmothers and other family came to join us. 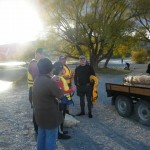 We all went to the river to begin the ceremony. 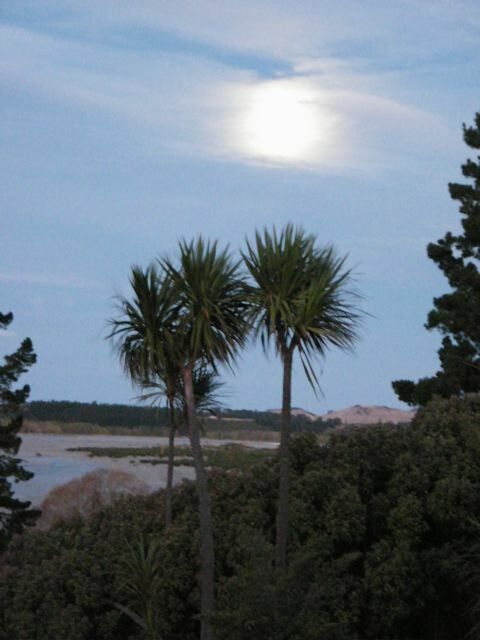 As the first karakia was closing we heard the sound of something in the water. We looked over to see two tuna lifting their heads out of the water. We all smiled and knew that these wise beings of the world of Tangaroa were aware of the intention of this journey and had come to express their gratitude. 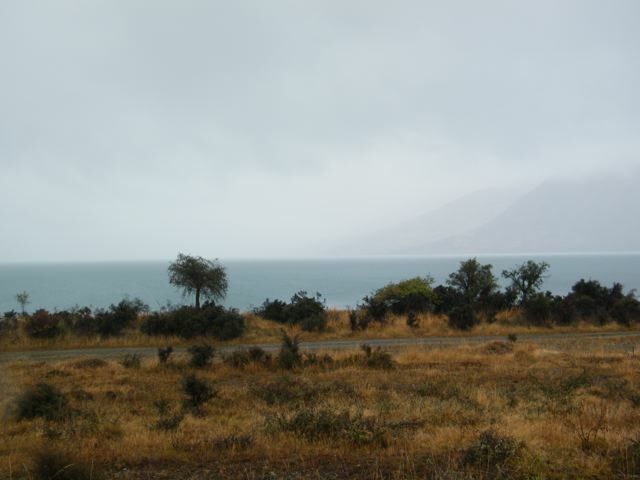 As well were leaving the valley the soft rain of Iho Rangi began to fall gently like a blessing. 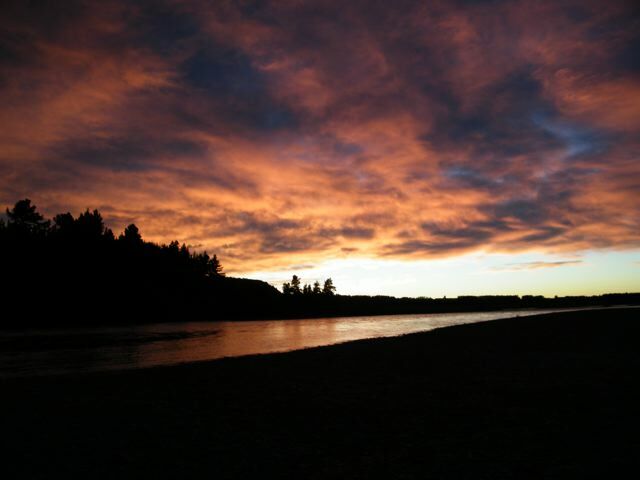 We headed towards the Rakaia Gorge where we were to stay that night and rise the next morning to a stunning sunrise complete with tuna in the cloud community. 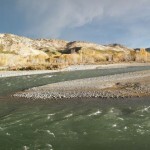 And so we slept beside the six main braided rivers over six nights. 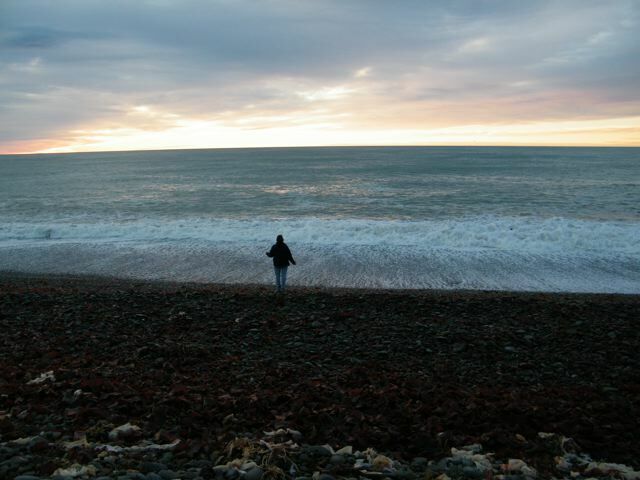 In the mornings we would begin the day with ceremony reciting prayers, then we would go to the waters and place our intentions and wishes for them to be healthy and flourish. 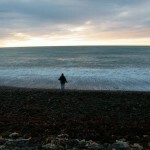 We would complete this ceremony by singing our aroha and gratitude to the waters. The children took delight in leading these songs. 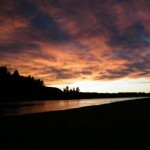 As we traveled during the day we stopped at as many rivers as we could to pay homage to them. These rivers were smaller than the ones we slept beside. Some of them had small flows, some had just a trickle and sadly some were completely dried up. Yes we have had a dry summer but some of these rivers had been dried up for many a year. 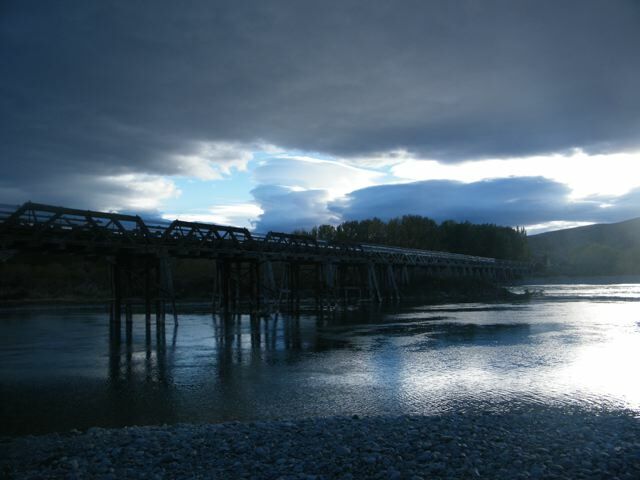 They were once substantial because the bridges that crossed them are very substantial. 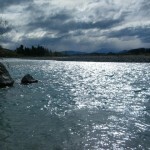 Going down through the McKenzie country we went to the precious lakes of Tekapo, Pukaki and Ohau. Each of these waterways had their own character of course and sang their own songs. And at all of these places we found heart shaped stones. 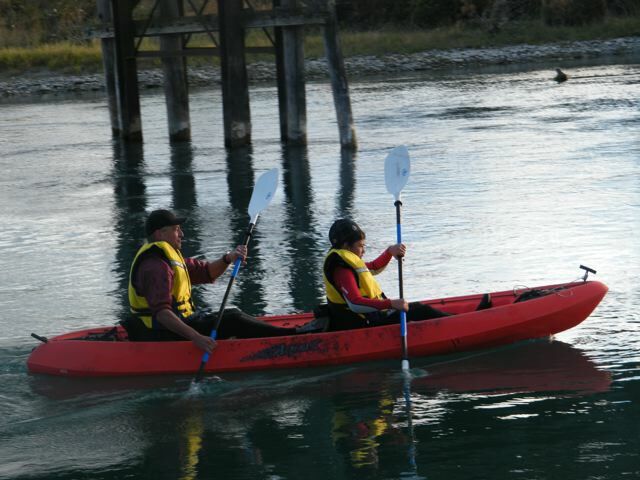 And we paid homage to the tears of Ranginui that have fallen and continue to fall to make up these waterways. 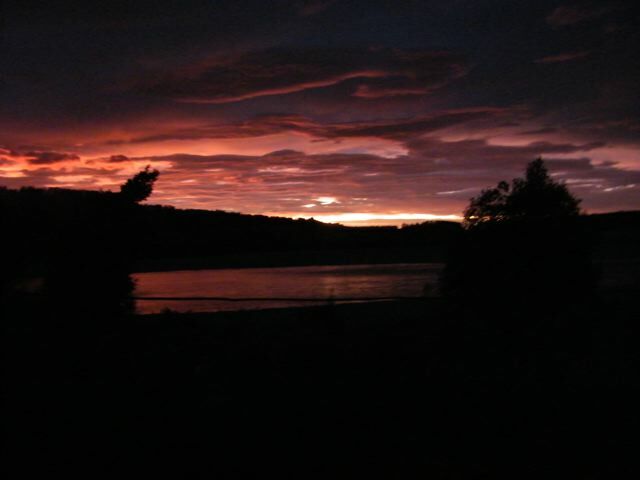 The stark beauty of the land never ceased to amaze us and often we were privy to a stunning sunset and or sunrise. 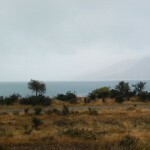 For three days our trail was blessed with the tears from the Sky Father and this came in the form of light rain to the swirling mists of Hinepukohurangi. 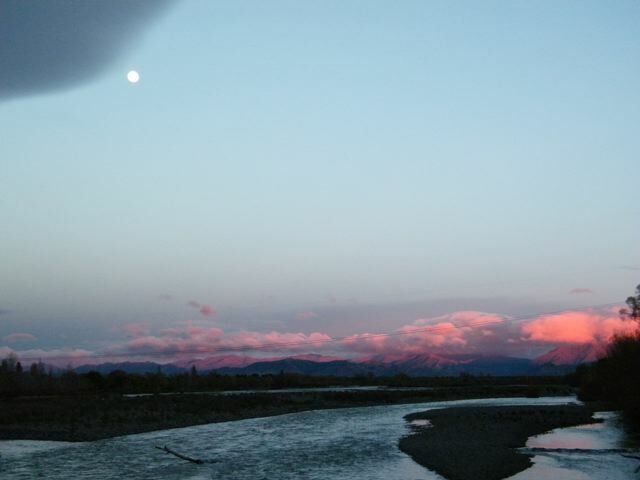 The last night we were at the mighty Hurunui River in north Canterbury. 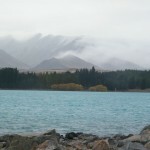 The north west wind, Tu Te Raki Hau Noa was reigning supreme over the mountains as huge banks of clouds pressed relentlessly forward over the mountains to spill over the plains of Canterbury. 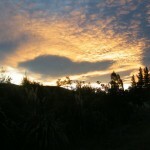 The light on our beloved Mother Earth, Papatuanuku was breathe taking. The moon setting on the last morning was spectacular to witness. 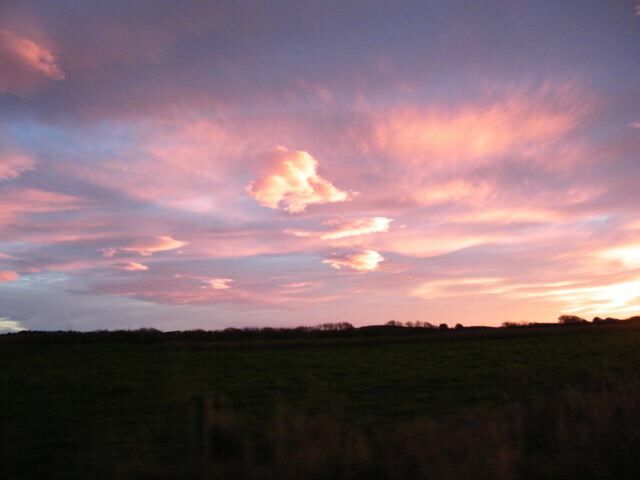 Marama was continually bathed in rainbow colours as the sun rose in the east. 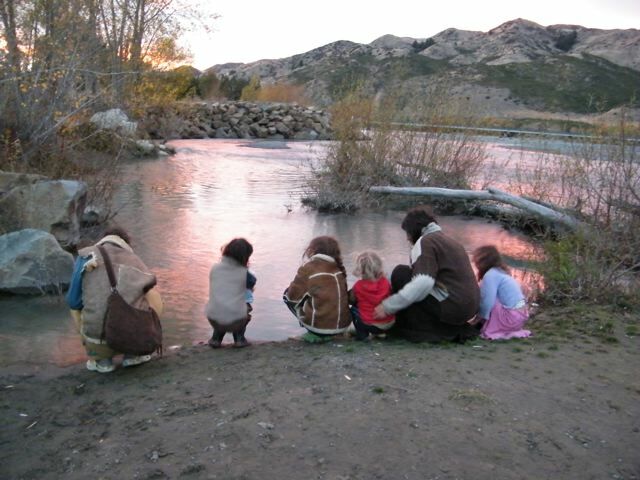 The children participated fully in the ceremonies and recited the karakia at the rivers, to the mountains and to the rising and setting of the sun and the moon. 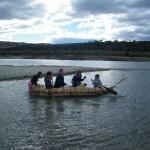 It was a wonderful learning opportunity for them, indeed the whole week was a Wananga, a time of learning. We concluded this trail in the Valley of the Teachers returning once again to our sacred awa called Waikirikiri and beneath our sacred mountain Wharariki. We were bathed in the dappled light of Autumn, the water flowed gently over the stones. It was a perfect end to a beautiful trail. It is time to communicate with the natural realms. They wait for us to do so. They listen and if one is blessed one will hear or sense their presence as they respond, and they do and they will. Toku awa, ko toku ora, my river is my life, toku awa, ko toku mana, my river is my authority, toku awa, ko toku kaha, my river is my strength, toku awa, ko toku wairua, my river is my spirit. (Whispers of Waitaha: Traditions of a Nation). 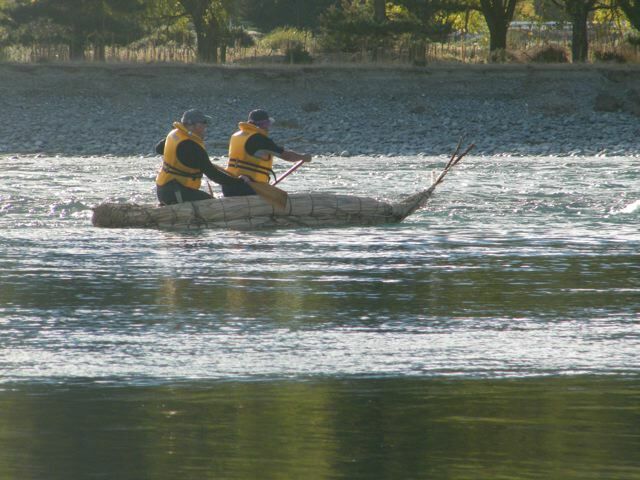 This weekend heralded a significant event for the Waitaha whanau, hapu and iwi. 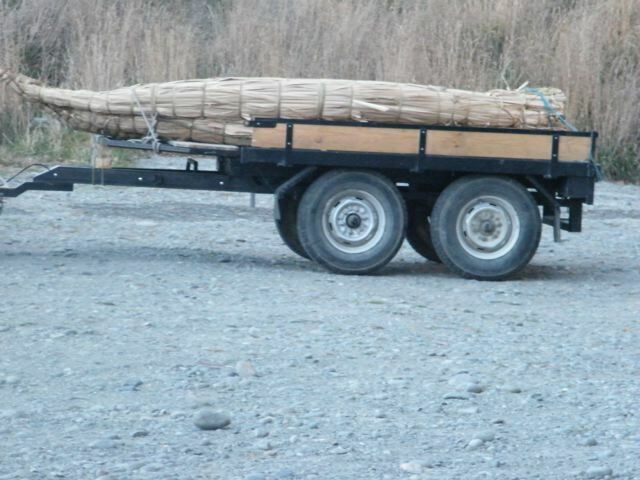 Rangi Te Maiharoa and his son Shane built a Mokihi to the traditional design of their ancestors. 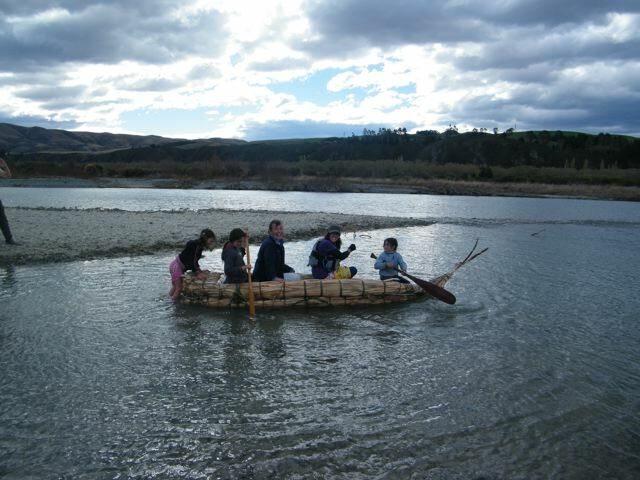 The whanau and hapu trialed it at Lake Laird last weekend. 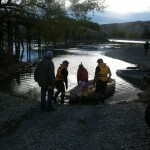 There was much interest from the local community and many people had the opportunity to paddle her. 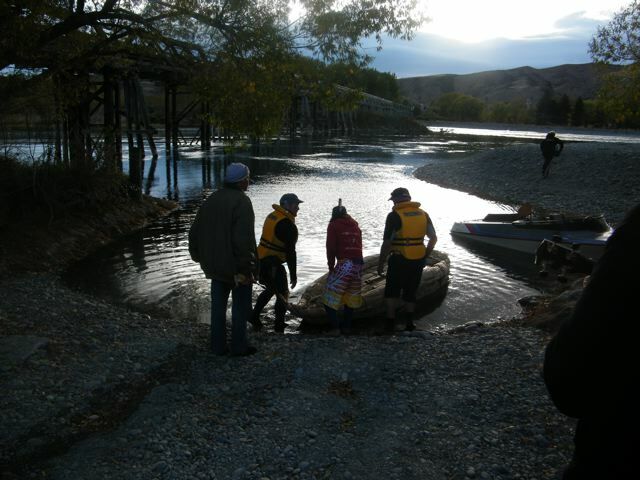 All was in order for the journey down the Waitaki River this weekend. 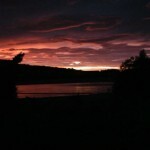 The dawn was spectacular leaving the sky in a glowing silvery light for the launch. 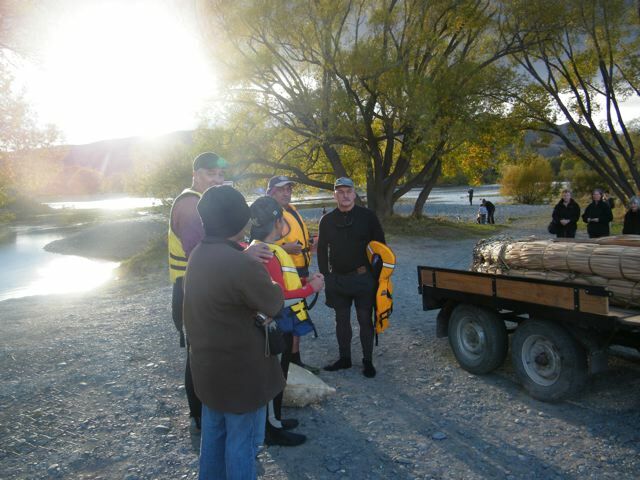 Sister Ann Te Maiharoa-Dodds recited a blessing and karakia for the crew and the mokihi. 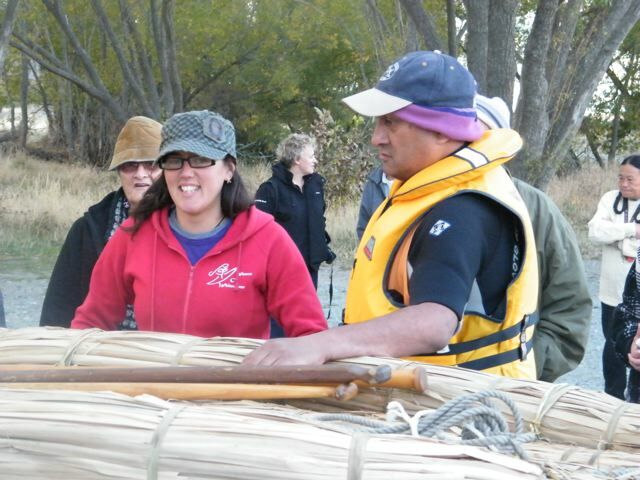 The reed canoe was then gently ushered into the quiet waters of the river. 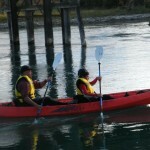 There were three paddlers, Shane Te Maiharoa, his neice Katarina Te Maiharoa and Bruce Parker on the first day. 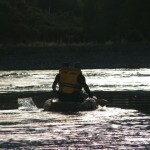 The support crew consisted of one jet boat and a kayak paddled by other family members. 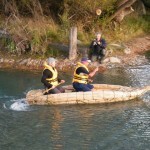 The kayak had a difficult job keeping up with the mokihi. 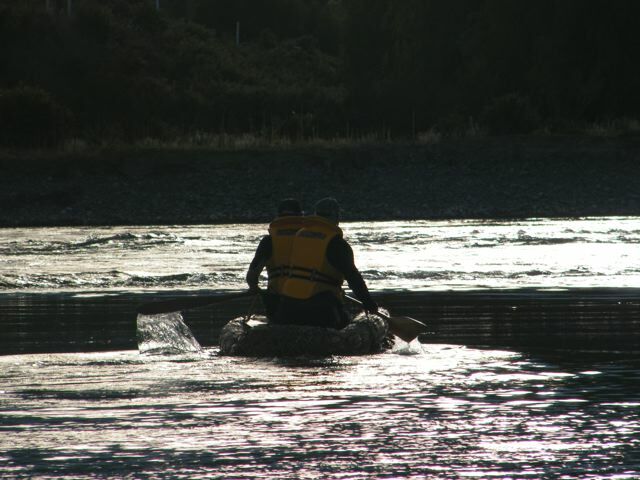 The second and final day saw just Shane and Katarina paddling the Mokihi escorted by three kayaks containing other family members. 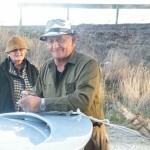 There was much jubilation when they all arrived safely at their final destination. 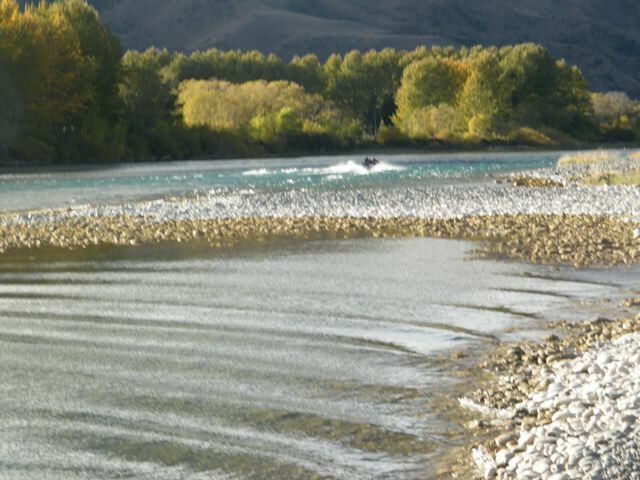 The river conditions were perfect. The weather was perfect. The ancestors were very joyful because of this epic event. A journey of remembrance. A journey honouring the knowledge of the ancestors. A journey of aspiration and inspiration for the young generations involved. 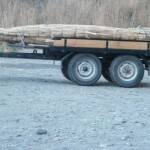 Ka nui te aroha ki a koutou, he taonga tuku ihu na nga tupuna. A small band of Winnemem Wintu people of northern California came to our land to call their relations, the Nur/Salmon home. 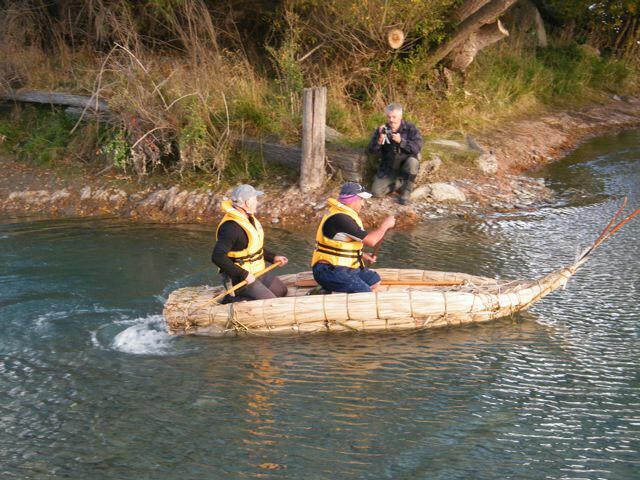 They sought permission from the Tangata Whenua (local tribal groups) of this area to do this, to come into our sacred land to perform their sacred ceremony. The humility of these people and the dignity and grace by which they conducted themselves was deeply moving. 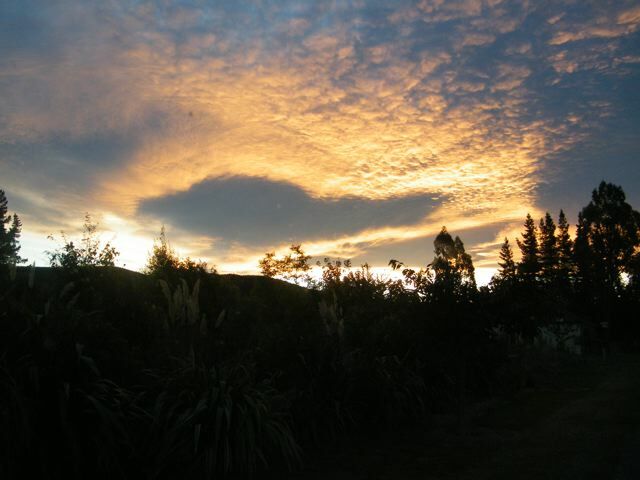 Aroha atu, aroha mai is a Maori proverb which speaks of the fact that if one lives in a state of aroha, sharing, loving, giving then this will be returned many many times. 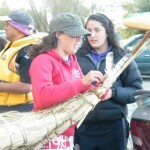 And so during our time together there was much aroha flowing between our people and our very special manuhiri/visitors. 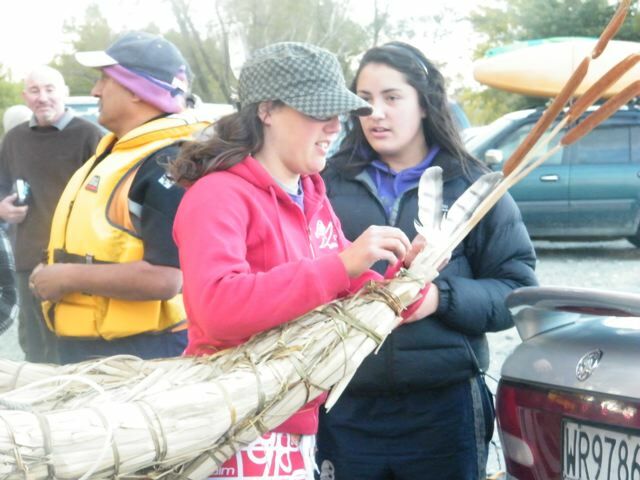 Many whanau/families, hapu and iwi family and tribal groups, worked together to ensure our visitors, our relations, the Winnemem Wintu, were able to complete their ceremonies which were held over 4 days. Their Creation stories tell of the creation of the trees, the animals, the birds, the insect, the fish and how when these beings were created, they knew what their purpose was for their time on Grandmother Earth and they immediately went about fulfilling their duties, their roles, their lives all of which was and still is to hold the balance of our beloved Grandmother Earth. However when humanity was created this was not the case. Humans were confused as to what their purpose was. They had no purpose and they had no voice. After much deliberation among the animal, bird, fish, tree and creatures great and small it was the Sacred Fish the Nur/Salmon that decided to gift humanity their voice. And so the relationship began, a dance of life, a dance of deep respect between the Nur and the Winnemem Wintu Nation. This was so for many many millenia. 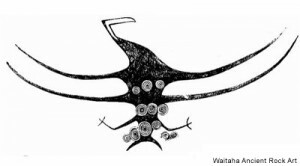 With the advent of colonisation the people of the Winnemem Wintu Nation were unable to stand up for their relations the Nur.Their relationship was broken because this concept was not acknowledged or recognised in their role as guardians of their relations the Nur by the colonising people, agencies, governement. 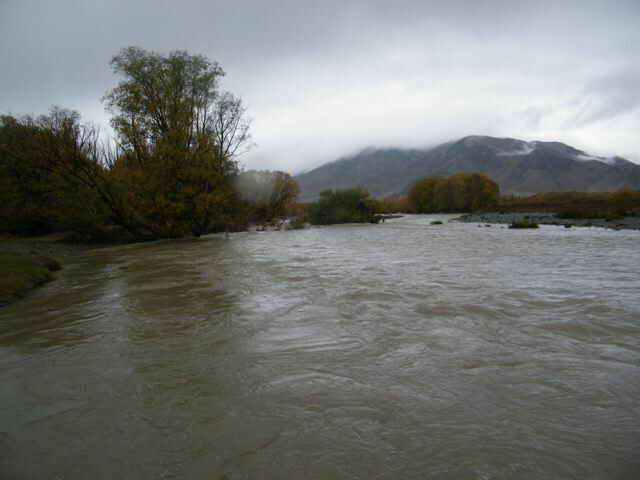 In the mid to late 1800’s the USA government gave salmon eggs from their river to the New Zealand government.The Salmon have survived in many rivers in New Zealand since. 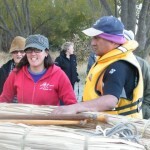 There was a chance meeting at the United Nations between their Chief, Caleen Sisk-Franco and a New Zealand Human Rights representative also a woman, whereby Caleen was able to share this story which began the ball rolling and four years later they arrive to begin their ceremony on the full moon of March 2010 in the valley of the convergence of the great braided rivers of the Rakaia and the Wilberforce and Lake Coleridge. 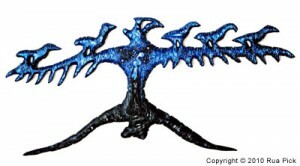 The purpose was to firstly apologise to the Nur for their not speaking up for them when the eggs were taken in the 1800’s and to let them know that they always remembered them, they were never forgot and that they had come to call them home through their ancient ceremonial dances and songs. 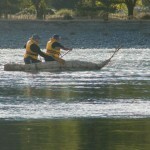 During the four days at the site there were many sightings of the Salmon and the Eel in fact, both physically and spiritually and even the Black Bear was sighted, such was the sacredness of this epic event.When Caleen, their chief first went to the waters of the Rakaia, Tuna came to meet her and raised his head out of the water to her. Shortly afterwards Nur rose out of the water to herald their arrival. All present were humbled by this act of acknowledgement and honouring by these creatures of the waters. Their stories tell that if the Salmon dies, the oceans will die. 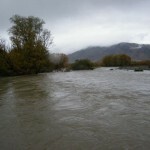 We have a similar story with Tuna the eel in that if the eels disappear the rivers will disappear also. 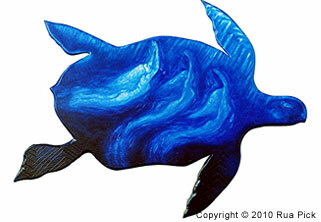 So crucial are these magnificent creatures to the health of the domain of Tangaroa, to the life of the Waters. And Water is the Lifeblood of our Grandmother Earth. The Winnemem Wintu people reminded us of our responsibility to stand up for our waterways, rivers, lakes and oceans. We need to ALL STAND TOGETHER on this. There is not a moment to lose. We need to do this for our Grandchildren. This is their legacy, they are the future kaitiaki of our beloved Grandmother Earth. We as grandparents and parents need to strive to ensure these gifts are intact and in the best possible health in order for this to happen. So much is at stake. We all need to act together for our Grandmother Earth to bring balance and harmony back to her. We can do this. Papatuanuku, Grandmother Earth needs to be our only focus. Thank you brave and courageous people of the Winnemem Wintu for inspiring and motivating us into action, Winnemem Wintu, people of the Middle Water. Thank you for gracing our mountains, rivers, animals, birds, fish all creatures great and small, with your presence. They certainly acknowledged and honoured you. Thank you for gracing us with your presence. 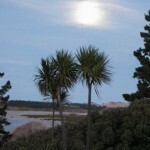 Ka nui te aroha nunui ki a koutou ki ou koutou kaha ki te pupuri ki te kaupapa nunui, a Papatuanuku. 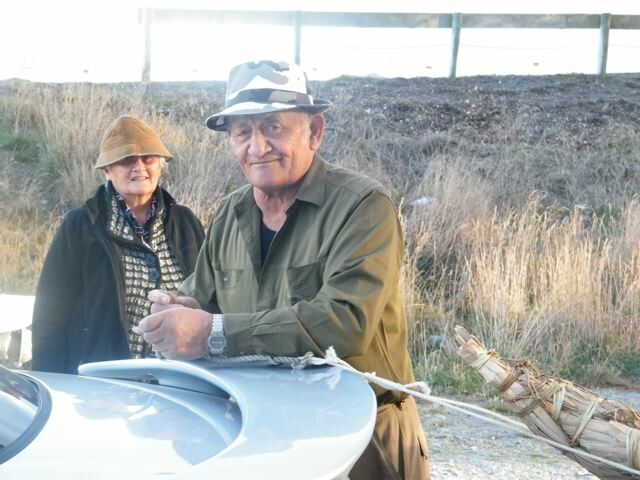 The decision to release some of the wisdoms and teachings of the Waitaha Nation was transformative. There was much discussion as to where it would be printed etc. Because this was the first time for these teachings to be shared there was much ceremony involved with each step of the production of the books. This involved all of the staff at the printers and binders. Many sleepless nights were involved with some people sleeping beside the machines for the first stages of the printing of Song of Waitaha. 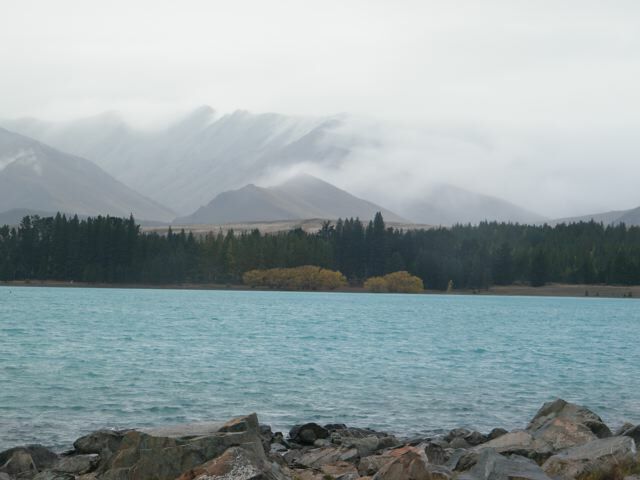 The whole books are produced here in Aotearoa, New Zealand. Such was the dedication to this project. This was the first time for these stories to be shared to this extent and therefore worthy of deep ceremonial proceedures to birth the books into the World of Light in written form. Even the font was especially designed for them. 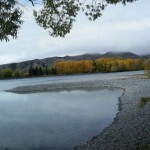 The paper is the only import and that is because New Zealand does not produce paper of the quality required for books. Japan was chosen because of the quality of the paper they are renowned to produce. This paper is reputedly to last 100 years without showing signs of discolouration or deteriotation. The same paper was used for the Whispers of Waitaha. 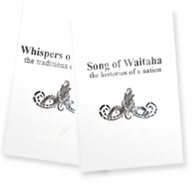 And so Song of Waitaha: Histories of a Nation and Whispers of Waitaha:Traditions of a Nation are books of great quality physically and were produced with deep respect through ceremonials and rituals which add to their unique authenticity. Wyatt and Wilson of Christchurch were the printers.